University of Okoboji Oktoberfest Bike Ride, 2015. Sorry, summer, don’t let the door hit you on the way out…because it’s time for Oktoberfest. 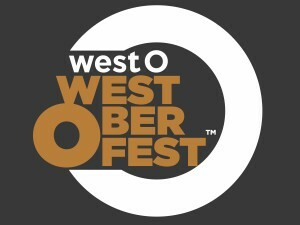 Yes, our WestOberfest is already on tap, but wait, there’s more! It’s also time for the University of Okoboji Oktoberfest 2015 Bike Ride, and there’s a ton of information to go with it. First off, early registration ends soon, so save yourself some money and get registered up. Right now. What do you get for participating? The ride itself: starts in Arrowwood. It supports Dickinson County Trails, and has raised $26,000 so far. That’s a 26 with three big fat zeros after it. We think that’s impressive. West O Beer: we are honored to be associated with such a worthy event, so for you riders the beers are complementary. WestOberfest and more…enjoy. Minerva’s: yes, we know of this place, and when they say “simple German meal” we know you can expect the bar to be raised quite a little bit. Like, live acoustic music with Dave Rowley? Yes. Again, enjoy. The Famous U of O long sleeve T: famous says it all. Perfect weather and no flat tires: we made that up, but we hope for the best. There you have it. We suggest you do the thing, then come to our own thing, WestOberfest.